This is a book we have to read next year in our ministerial training ... you've certainly got me looking forward to it ... although i know others in previous years have found it harding going ... is it a hard or challenging book to read? I'm now so familiar with it that I'm not the best person to ask about how hard it is. 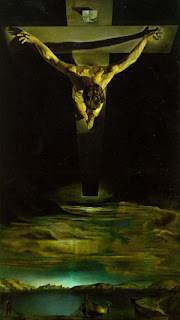 I think the challenge is in hearing a compelling argument for divine vulnerability that collides with classic notions of sovereignty and almightiness. 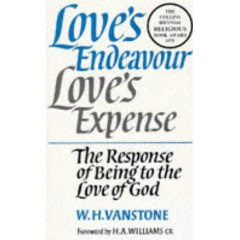 Long before open theism (and in a much more theologically nuanced restatement) Vanstone took seriously the reality of love as precarious, as vulnerable and having no guaranteed outcome. In terms of Vanstone's style, and the book's structure I suppose it isn't the easiest read. But originality of thought is always going to be less accessible, less congenial to existing habits of our thinking. When you read it Andy, I'll be surprised if you are not moved by its overall vision of God and the Gospel.